Have you ever wondered when the first forests appeared on Earth? What were these first forests like? What kinds of trees made up these forests? A recent fossil discovery is helping to answer some of these questions. The story begins back in 1870's in a quarry located in the town of Gilboa, NY. Quarry workers dug up a literal "forest" of fossilized stumps. These stumps were in still-life position and they astounded the paleontological community. The rocks they were found in were of the middle Devonian era, which would make these stumps a relic of the oldest evidence of forests on the planet. The only problem was that the upper parts of these "trees" remained elusive. For over 130 years the true identity of these ancient trees remained a complete mystery. What were they? How did they live? Fast forward to 2004. Linda VanAller Hernick and Frank Mannolini were searching another Gilboa quarry not too far from where the stumps were first discovered. There they uncovered the fossilized crown of a fern-like tree. The following year they extracted the trunk of a large tree from the same quarry. When they looked at what they had found they soon realized they had discovered the missing pieces to the Gilboa stumps! Putting the pieces together, the researchers realized that the crown, trunk, and stumps were all pieces of the same species. Coined "Wattieza," the trees are not trees as we know them today. These were relatives of the ferns. They reproduced with spores, not seeds. 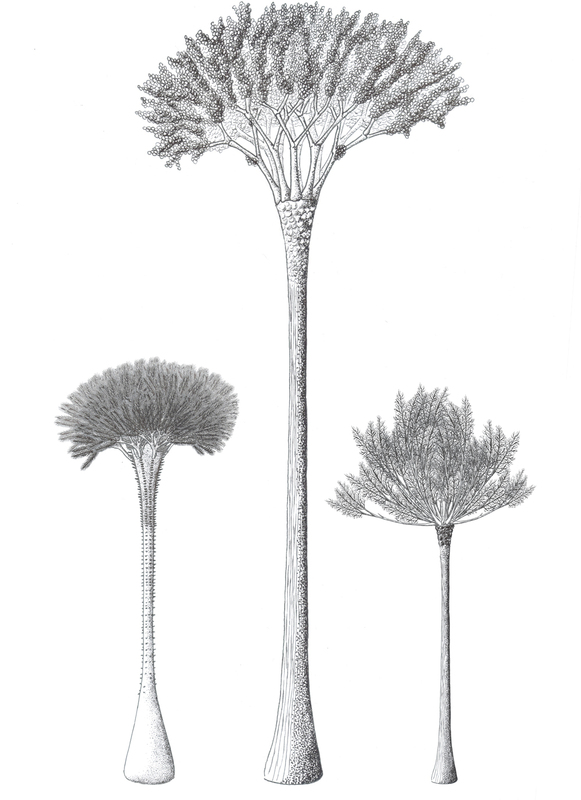 Forests of Wattieza grew during the Devonian, some 415 to 360 million years ago. This is a major milestone in the understanding of how plants and ecosystems evolved over time. The presence of forests most likely paved the way for more diversification because forests tend to create their own microclimates as well as foster new niches.